Have you ever had to define a word you use everyday and struggle to give a simple explanation? The Fall 2011 Beam Reach class was asked to simply define sustainability science prior to the first lecture of sustainability science. We all looked with blank stares as we collectively appeared to be at a loss of words. However, it was a bit comforting knowing participating professors were struggling just as much as the students. So what is sustainability science? My definition was the study of how to maintain/ sustain populations and its ecosystem. After pooling various definitions we confidently said there is no specific definition of sustainability science. Some said the definition had to do with how research was carried out, others what yours studying, yet further more how it effects the ecosystems. Sustainability science is such a broad category and encompasses many things that we cannot pin point a specific explanation. According to Clark et al. the questions we need to ask ourselves when looking at sustainability science are: What is to be sustained? For how long? What is to be developed? (2005). Clark and Dickson state sustainability science is taking science and technology and focusing on interactions between nature and society (2003). However, it also encompasses seeing how social alternations shape the environment and how the environment alters society. Knowing these two factors effect each other Turner et al. diagrammed (below) how various elements are dependent on one another (2003). 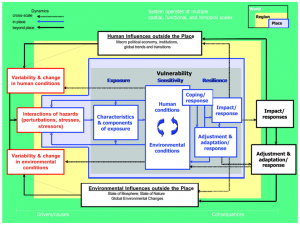 The study of sustainability science is not studying one element but how many outside factors can influence each other. If we are careless our actions can alter ecosystems in ways that make it impossible to recover. After talking about sustainability science I started thinking more about the definition and how much of an impact these factors have on one another. Since the words sustainability science are so hard to describe, because it umbrellas an extremely wide range of studies, everyone has a different explanation. After further discussion and reading, to me, sustainability science meas using research and technology to study how ecosystems and populations effect each other while focusing on how to sustain/ maintain them using the least invasive methods as possible. If someone comes up to you and asks what is sustainability science can you define it? Later on in during this program the Fall 2011 class will be doing a sustainability project to help the various ecosystems and organisms here on and around the San Juan Islands (ie. Southern Residents). We have not completely decided on our project yet, however, I’m sure more will be posted when the time comes. Can you define sustainability science? On our first day of Beam Reach fall 2011 sustainability science class, we were asked what seemed to be a rather simple question: “What is the definition of sustainability science?”. When we went to put our pens to paper we quickly discovered that this seemingly simple question really had no simple answer. My initial definition was “Using scientific research and methods to improve the sustainability of natural resources”. My classmates had varying degrees of similar answers, but it led to the question: what is sustainability science REALLY? 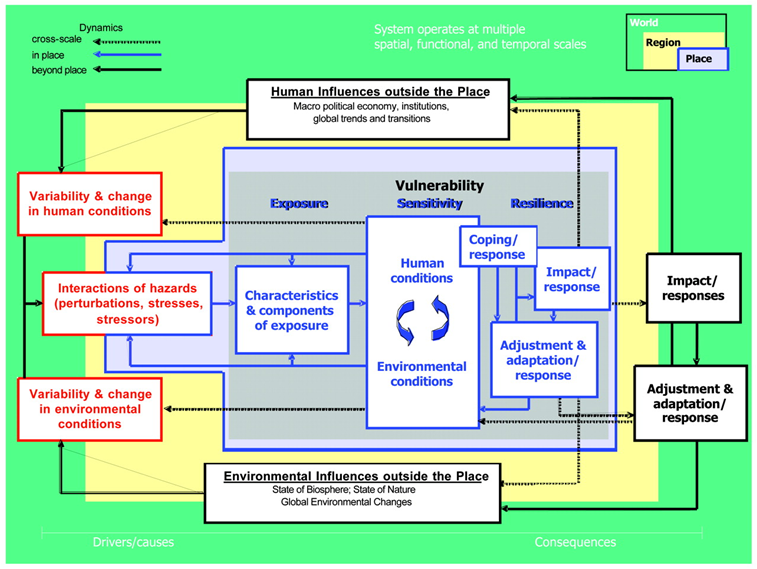 This diagram shows how four areas of research all contribute to the sustainability science field. First, biological science research is used in order to understand the natural systems in which we are utilising and affecting. Technological systems research is used to determine the technological advancements that can be made to move towards a goal of sustainability. Geophysical systems research is used to determine how we are affecting the earth in terms of climate and geography, which in turn could potentially affect the biological systems in which we are utilising. Finally, social systems research is used to assess society’s values and points of view towards human impact on the earth’s systems. After putting some more thought into the idea of sustainability science, I realized how big of a challenge is it for us as a society to move towards a sustainable way of life. It not only involves different aspects of science, but it also involves political and social aspects, and it is inevitable that the parties involved will have disagreements on the best approach given their differences in point of view. Sustainability science is a rather simple term that is becoming ever more commonly used in today’s society, but don’t be fooled, it is deceivingly complicated, but will be well worth the effort in the future if we are able to stay on a path to a sustainable way of life, where we have less impact on the earth and are able to find the balance between our needs and preserving natural systems for generations to come.